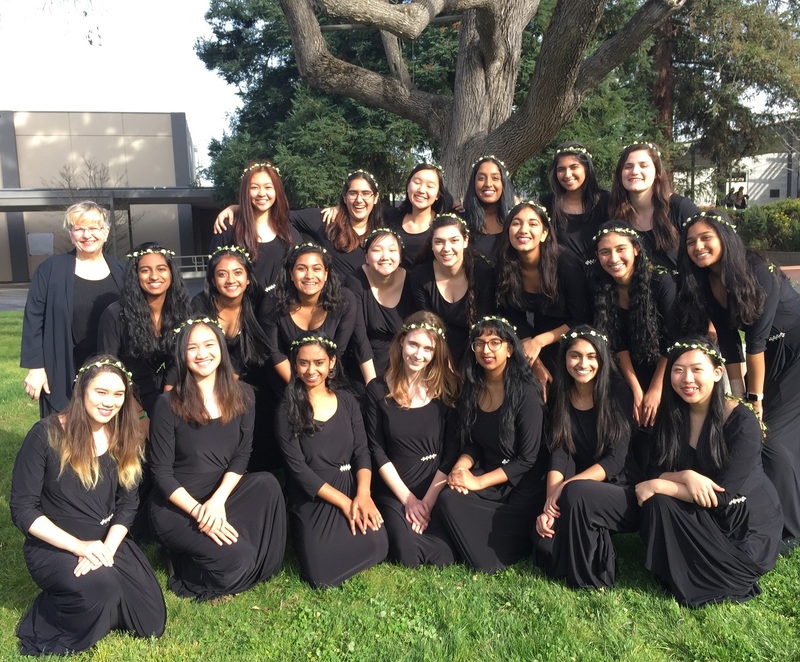 This past weekend, Harker’s Bel Canto and Cantilena choral ensembles garnered unanimous superior ratings at the California Music Educators Association (CMEA) Choral Festival, held at Saratoga High School. Judges commended Bel Canto, Harker’s non-auditioned mixed voice choir, for its very mature and full sound, clean intonation, balance between sections and challenging repertoire. One of the judges was amazed to discover that the ensemble comprises mostly high school freshmen and sophomores. The unanimous superior designation, given by four judges, means the choirs not only gave outstanding performances but also demonstrated outstanding music sight reading skills. This designation, if followed by two more in succeeding years, can result in a coveted showcase performance at regional and national choral conventions. Bel Canto, under the direction of Jennifer Sandusky, sang Hans Leo’s “Hassler’s Cantate Domino” (1601), Emma Lou Diemer’s “Take, O Take Those Lips Away” from “Three Madrigals “(1962) and Stephen Leek’s “Morning Tide” from “Island Songs” (1994). Cantilena, under the direction of Susan Nace, sang, Caterina Assandra’s “Duo Seraphim” (1609), Clara Schumann’s “Liebst du um Schönheit” (1841), and Abbie Betinis’ “Jerusalem Luminosa” (2006).